We spent last week in Florida; the first half in Orlando and the second half in Bonita Springs. We had originally thought about flying since the kids would be free, but after thinking through everything we would need to take, we decided to drive. I'm glad we did since we stopped in Jacksonville on the way through and back and visited with my dad. He also drove down to spend the day with us at Animal Kingdom. We went to Animal Kingdom on Sunday and it was a lot of fun. I wish I would have gotten more pictures but it's so hard getting 2 toddlers to stand still long enough for a picture. We saw a lot of animals on the safari and nature walk and the kids enjoyed meeting the Disney characters. They both now know who Mickey and Minnie Mouse are. The weather was gorgeous and the kids absolutely LOVED the pool, Amaya especially. It was her first time swimming and she had no fears whatsoever as you'll see in the pictures below. Logan enjoyed the pool as well in his own way by just floating around. Amaya floated for a little while but enjoyed the freedom of kicking and splashing by using the arm floaties. Saturday we drove up to South Carolina to visit some friends we hadn't seen in over a year and a half. 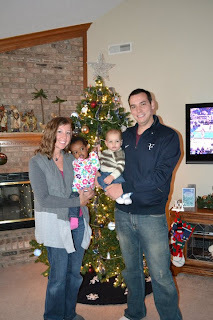 It was fun to get to introduce them to Amaya and Logan and to meet their new little 3 month old. We are so thankful the kids traveled so well in the car for the 2700 miles of the trip. We definitely miss the weather but it was good to get back home into our normal routine. Here are a couple pictures from our trip. Amaya and I with Grandpa Hall. We tried a couple pictures with Logan too but he would not cooperate. My goal is to update the blog once a month and to shoot for the beginning of the month. Well it's mid-February and I'm finally getting to it. Amaya has been home for 8 weeks now and yesterday was her 23rd month birthday! Only one more month and we'll have a 2 year old, crazy! We have had lots of exciting things happen since January. First, Logan started walking! At the beginning of January he began taking a few steps, and then would fall down and crawl. A couple weeks later he began taking 8-10 steps before falling down and after a couple days of that, he's been walking every since. 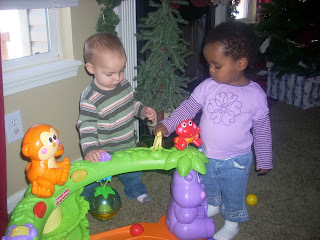 He is much happier now that he can walk and he and Amaya are definitely playing more together as now he can keep up to her. 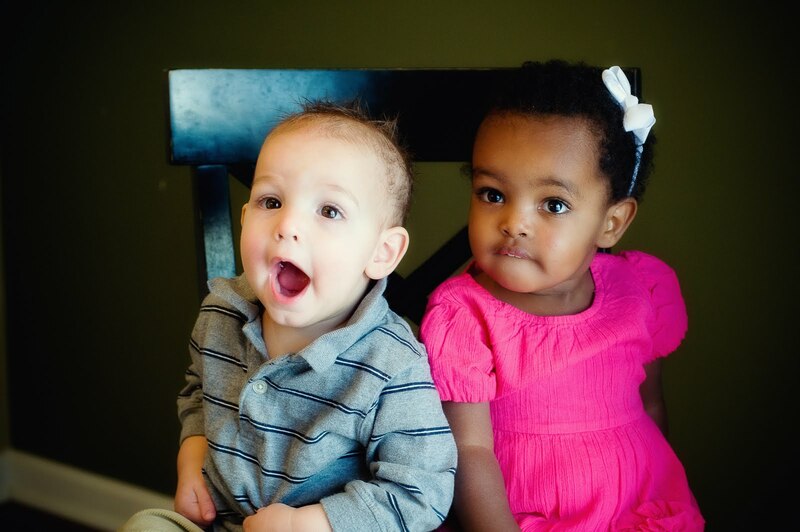 Second, we found out January 19 that Logan and Amaya will have a baby girl cousin! Ryan's sister, Nikki, is expecting a little girl the beginning of June and we are so excited for them! 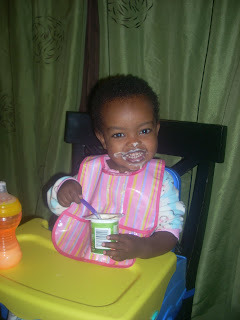 Last, we have been potty training Amaya off and on since mid-January. We started up again about a week ago and she is really making progress. She's telling us when she needs to go (about 1/2 the time) and we've even moved her to the regular toilet. We're taking it slow and not pushing her but it would be great to have her out of diapers by the beginning of the summer! A week from tomorrow we are leaving for a week-long trip to Florida! Ryan has a business trip in Orlando, and the kids and I decided to tag along. Our plan is to drive through the night Friday night into Saturday morning. On Sunday we are going to take the kids to Animal Kingdom. Amaya has been learning a lot of animal names and sounds so I'm excited to see her reaction to the animals. The rest of the week we plan on hanging out by the pool and going to the beach. We can't wait to get outside and soak up the sun, it's definitely been a long winter. I'll be sure to post pictures when we get back. I've posted a couple of new pictures below, but I find it very hard to take pictures of two toddlers who never sit still! Logan walking around and getting into everything! Here are some updated pics of our little ones. Amaya is continuing to learn more and more English which is very helpful in decreasing the amount of tantrums. She took a trip with just Ryan for about an hour out of the house a couple of days ago and did great! She definitely likes to get out of the house! (I guess who doesn't in the these awful winter months.) We are learning that she is quite the social butterfly. We took her to church for the first time this morning and she LOVED the attention. She smiled and waved to all the people that came up to meet her. Logan is learning to share mommy and daddy much better and I think he is finally enjoying having a playmate. He isn't quite walking yet but can stand alone for 15-20 seconds. Every once in a while he'll take a step or two but then chicken out and crawl the rest of the way. He definitely has a lot of motivation to walk since he sees his big sister running around and getting to places much faster than him. He's also starting to talk more and I think it's mainly from imitating his sister. 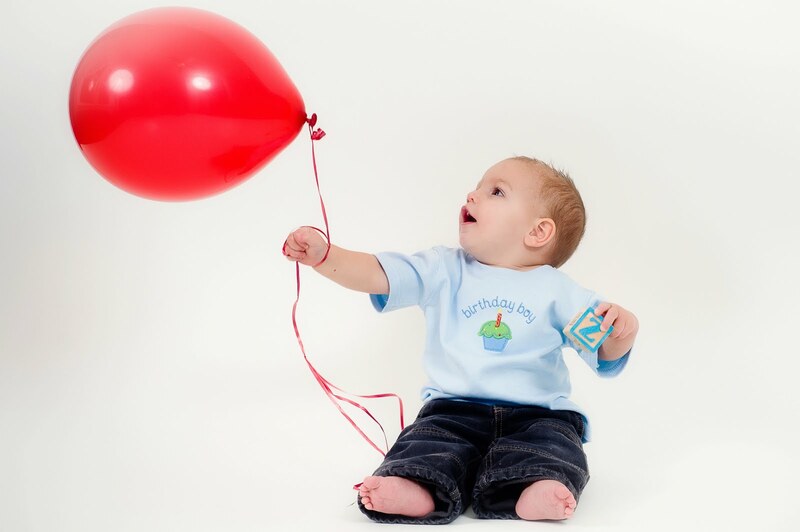 We are excited to see how our little ones are going to grow and change over this next new year! Enjoy the pics! My sister bought them this ball pit for Christmas and they love it! Our family of four on Christmas day! Hanging out with our friend Jackson on New Year's Eve! We have been home for 12 days now and it is amazing to see how well Amaya is adjusting. She is eating well, sleeping well, and adores her little brother Logan (although not when it comes to sharing her toys :-). She is also learning English very quickly. She repeats most words that we say. Her first words were "banana, Dada, Moses (our cat), bye-bye, and blue." Other words she likes to say are "applesauce, brother, baby", and pretty much all the animal sounds. This transition has been much more difficult for Logan. He has spent his first year as the center of attention and now mommy and daddy have another child who needs just as much attention. He has definitely shown us that he was not okay with this at first. We also think he was a little upset with us for leaving him for another 9 days in the past 6 weeks. And on top of that, he is getting some new teeth which has not helped the situation. I have to admit that this transition has not been the easiest for Ryan and I either. First of all we are jumping head first into the toddler stage of tantrums and independence. Adding a language barrier on top of that makes it even harder. God has definitely been giving us strength and wisdom for each new day. It's hard to believe that just 2 years ago we submitted our formal application at Bethany Christian Services to adopt a child from Ethiopia. Now we have 2 beautiful children and so much to celebrate this holiday season. We hope you all have a Merry Christmas! Here is one of the pictures my friend Jenn took. You can see more on her blog at twiceshydesign.com/blog. ~Pray Amaya reconnects well with us and is comfortable leaving the orphanage. ~Here is one more prayer request, there are families that did not get into the December 7th date and are hoping and praying for the December 21 embassy date. 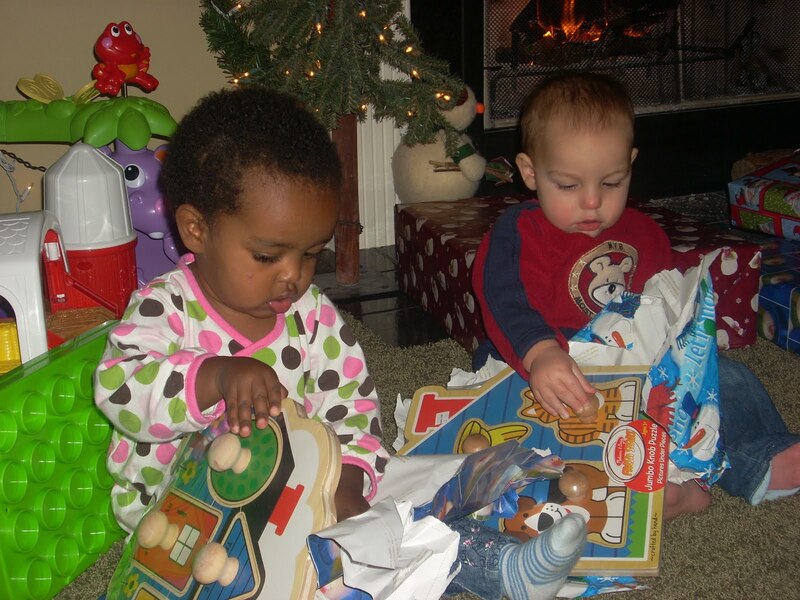 Please pray that these children will be home with their families for Christmas! Embassy Date and One year pics! Monday night we received the news: Bethany has secured Amaya's birth certificate and we can "tentatively" plan on traveling for the December 7th Embassy Date! This means, we will be leaving Wednesday, December 1st and returning home with Amaya on Friday December 10th. We hope to get confirmation of this date next week! We are so excited to bring Amaya home and after the wonderful shower my sister and friends threw for me last weekend, I think we are well prepared. 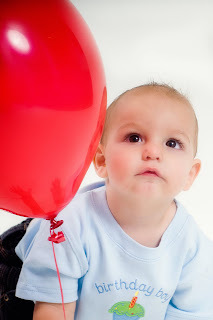 Since we will be returning on Logan's first birthday we are planning on celebrating it right after Thanksgiving. 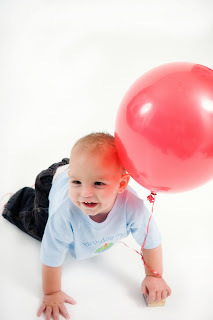 My friend, Jenn, has once again captured our little boy perfectly in some one year birthday pics. Here are just a few. 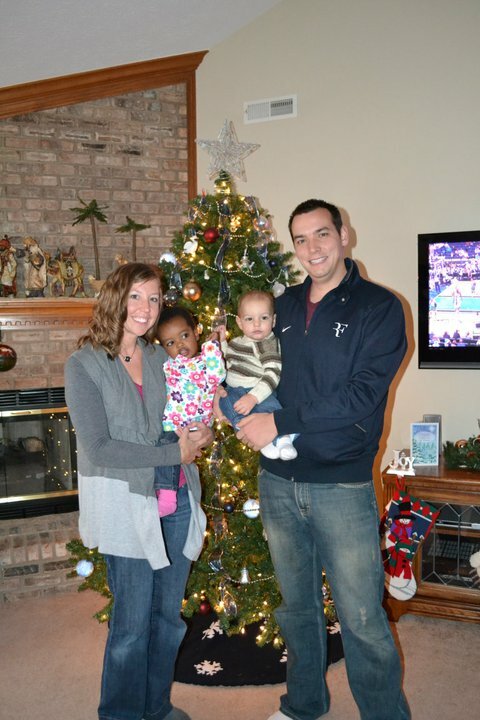 We have been home for 2 weeks now and still no word about our next trip to bring Amaya home. The next trip is centered around a meeting with the U.S. Embassy in Addis, which for Bethany, happens every other Tuesday. There is one coming up on November 23rd and we have heard from some families we traveled with the end of October that they have tentatively been assigned this date. They still have not received confirmation and many of these families will be leaving next Wednesday! We are hoping when these families receive travel confirmation, then we will receive our tentative date. We are hoping for Tuesday, December 7th, which means we would leave Wednesday, December 1st, less than three weeks away! Please pray with us that we receive confirmation of this date in the next week (or even today!). Even though we have heard from many families that this trip is usually scheduled with short notice, that doesn't make the wait time any easier. This has definitely been the hardest part of this whole process, having spent time with our little girl, knowing she is now legally our daughter, but still not knowing when we will bring her home. We did receive some very exciting and surprising news yesterday from our social worker. Someone made an anonymous and very generous donation toward our adoption! We will probably never know who this is, but we are praising God for their kindness and generosity. We have truly been blessed by family and friends through their support from the very beginning when we decided to begin the adoption process. We can't thank everyone enough for the sacrifices they have made to help us bring our little girl home. And especially to the family that gave of their financial resources...THANK YOU!! This blog is for us to be able to share our journey of beginning a family. 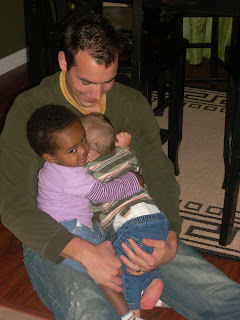 We were excited to welcome our first son, Logan, into the world on December 10, 2009. 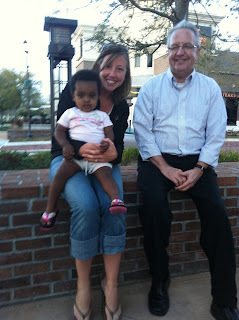 We are currently in the process of adopting a 16 month old girl from Ethiopia. We appreciate all of your love and prayers as we go through this process of building our family. "There is No Me Without You" by Melissa Fay Greene - We highly recommend this one. Funktion GIVEAWAY! Ditch your Diaper Bag! Moms (of kids of all ages), Encourage One Another!